This Lego's keychain is made to resemble a City Series mini figure. You will receive ONE keychain. 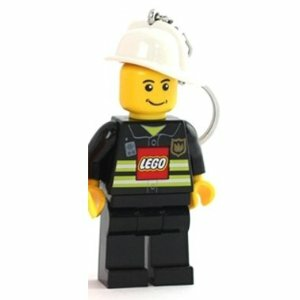 You may receive a police man, fireman, OR construction worker (depending on availability). Press the "Lego" symbol on the tummy and bright LED light shines out of the figure's feet. Each leg moves and can be positioned seperately. Batteries are included. Price per item.